Over the last few years, DMA visitors may have come to know the drop-in art making area in the Center for Creative Connections as the Space Bar, a name that corresponded with our Encountering Space exhibition. If you’ve come into C3 lately, you probably noticed that we like to make strong connections and keep things fresh. When it was known as the Space Bar, this area offered materials loosely based on works of art in the C3 Gallery. Every month we changed the materials to focus on a new theme related to the concept of space. Now known as the Art Spot, this area still offers art-making for anyone, anytime, but the focus is now on a specific artwork. Since November 2012, Martin Delabano’s Family Portrait 1963 has provided inspiration for our visitors. The complexity of this piece allows us to explore various themes over an extended period of time. In November and December, we encouraged visitors to better understand the characters within the sculpture and consider the clues the artist has given us by the items associated with each family member. Visitors could use the materials provided to create their own 3D Family Portrait. During January and February, we focused on the sculptural aspect of this piece and the assortment of materials the artist used. Our visitors used materials ranging from buttons to wood scraps to create Found Object Sculptures. In March and April we took a closer look at the four-legged family member, Crackers, and asked visitors to make their own pet or an imaginary Pet Pal for the Delabano family pet. Next month our theme changes once again. 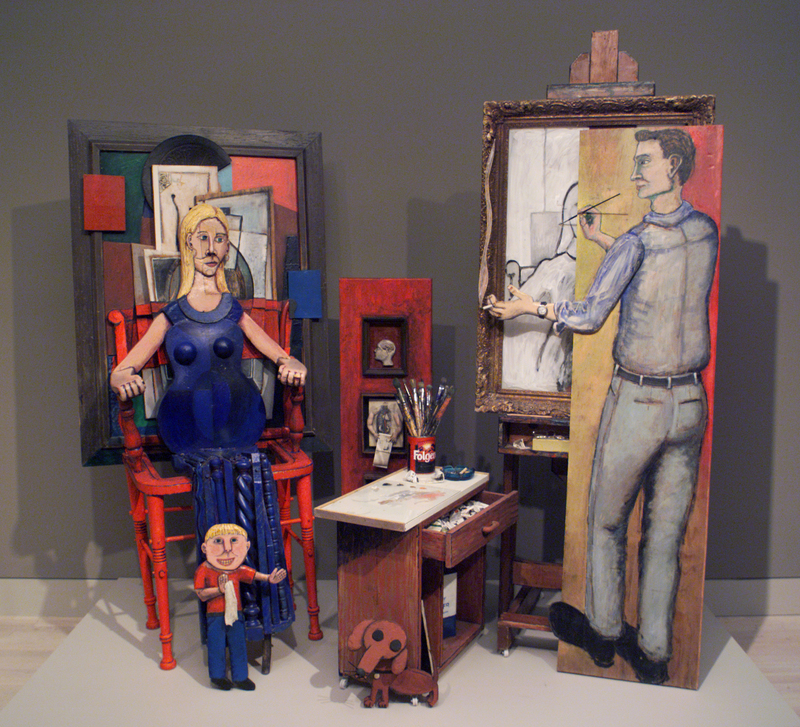 This time we are taking the perspective of the artist, who in 2001 portrayed his family and himself as they were in 1963. Martin Delabano isn’t the artist at the easel, rather he’s the young boy posing like our beloved “Big Tex” from the State Fair of Texas. Come by C3 in May and June to see Family Portrait 1963 and make a Past or Future Self-Portrait of your own.